Wine country is absolutely breathtaking, so the pressure to make sure your ensemble looks on-point while taking in the sights (and the Cabernet) can feel intimidating. Don’t fret, you’ll have a grape time if you keep these tips on what to wear wine tasting in mind! “Always wear comfortable shoes when wine tasting! Since you’re surprisingly on your feet all day, save your feet from aching with sneakers or wedges.”—Emily D.
What to Wear Wine Tasting When it’s Hot: Clear skies ahead? Don a flowy sundress or maxi dress to keep you cool all day. 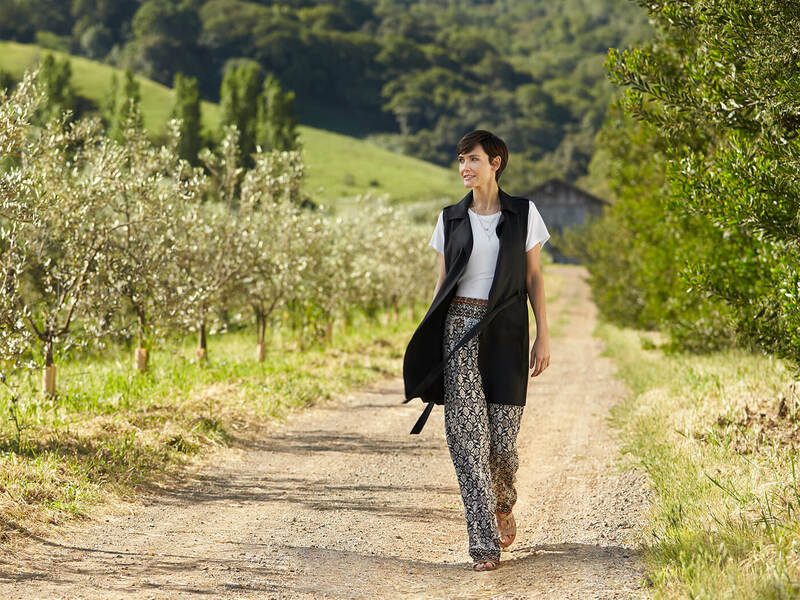 Bring the casual-cool to any winery with a jean skirt layered over with a patterned shirt and a vest. Sandals or wedges should prevent sinking into the dirt or grass as you stroll through the vineyards. “Northern California wine country can get really hot during the day, but cold at night! Pack an extra layer for when the sun starts to set.”—Tyler S.
What to Wear Wine Tasting When it’s Cold: Wine country can get chilly at night, how else would those grapes grow? For a visit to wine country during the colder months, wear a cozy knit sweater in a dark color—you’ll want to disguise any accidental wine stains! 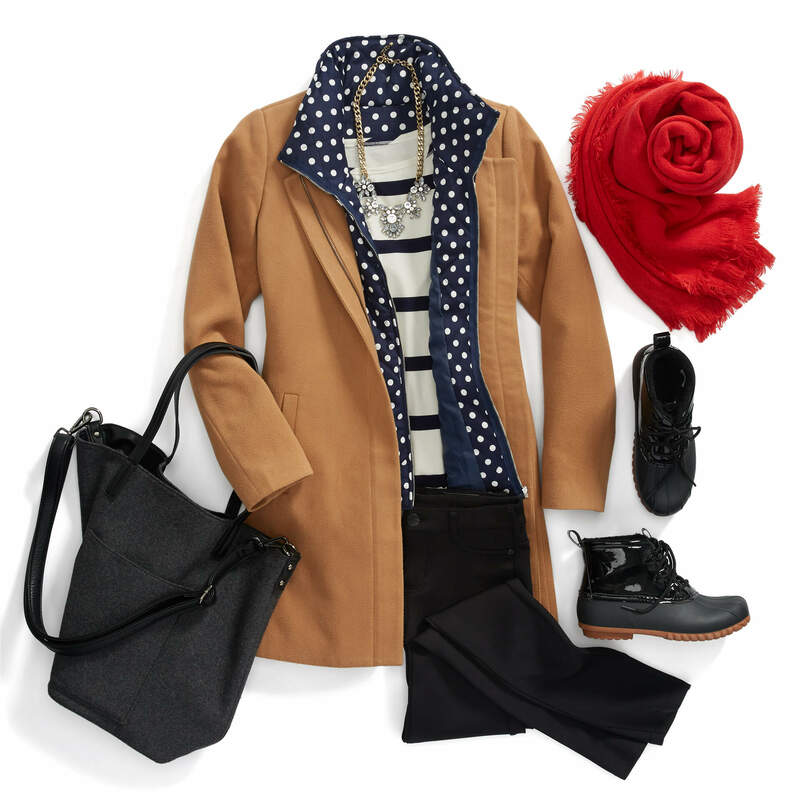 Layer it over your favorite pair of skinny jeans and ankle booties as you tour wine country. “I love wearing skirts and dresses when wine tasting, but sudden gusts of wind can cause them to billow too much. Wear bike shorts underneath your dress to prevent a surprise flashing.”—Anne R.
What to Wear Wine Tasting When it’s Raining: If the forecast is looking dreary, wear an outer layer that offers style and practicality—like an anorak or cargo jacket. For a classic look, wear a white button-up shirt with dark denim and boots—throw on a timeless trench coat to pull the entire look together. Figuring out what to wear wine tasting is easier than figuring out which wines you like, so enjoy your trip! Cheers!